Vice President Mike Pence has instructed NASA to land Americans on the Moon within the next five years. That was the headline from the latest National Space Council meeting this week. These words will require action and an influx of additional funding to stand a chance of becoming a reality. 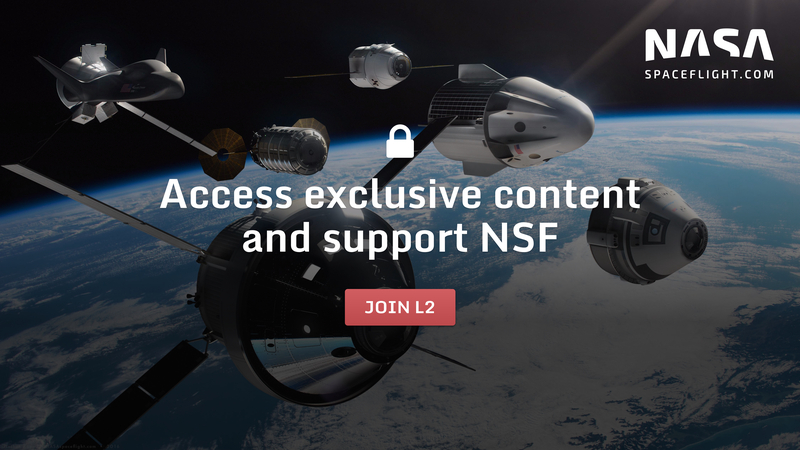 However, an overriding abstract behind the bold words is to put the Space Launch System (SLS) on notice that it cannot really afford any more schedule slips; more so, it needs to advance its launch dates. Bold changes to the direction of NASA’s deep space aspirations are by no means uncommon. This became NASA’s Constellation Program (CxP) that centered around the Orion crew capsule – with an initial capability to launch crews to the International Space Station (ISS), an Ares I crew launcher and an Ares V Heavy Lift – Cargo Only – Vehicle. Dubbed “Apollo on Steroids”, the launchers were based on a mix of flight-proven technology from the Space Shuttle program, not least the Solid Rocket Boosters, plus heritage design and improved technology engines, such as the RS-68 for Ares V (later changed to using RS-25s) and the J-2X for the upper stage of Ares I. This 1.5 launch architecture of using a “single stick” booster dedicated for just launching Orion and a HLV for lofting the heavy payloads out of LEO was in part due to NASA’s wish to decouple crew and cargo from being on the same vehicle, one of the Shuttle’s known safety concerns. It backfired. Ares I struggled during development, not least on upmass capability, resulting in Orion undergoing the ZBV (Zero Based Vehicle) process that stripped the vehicle of capability and led to annoyed memos from the Orion management begging the Ares team “to stop hindering our process”. It suffered from contradictions, such as claims it would be the safest crew vehicle ever built – unlikely to suffer a LOV/C (Loss of Vehicle and Crew) failure in “thousands” of launches – yet required a hugely complex and expensive rollercoaster to be built into the pad as the Emergency Escape System (EES). Numerous issues, including the somewhat overblown problem of “Thrust Oscillation” impacts from Ares I on the Orion astronauts during first stage flight, required yet more reviews and changes to the vehicle. The problems – and resulting efforts to mitigate – all added to a steady stream of slips to the baseline schedule. The schedule issues and calls for additional funding to be thrown at the problems became the straw that snapped the camels back for lawmakers, as the Augustine Commission was set up to review NASA’s Human Space Flight plans in 2009. Alternatives, including the potential to postpone the Space Shuttle fleet’s retirement, were presented. While the Commission did not specifically call for the cancellation of CxP in its findings, it did note the need for an influx of additional funding to try and get it back on track. That ultimately became too bitter a pill to swallow, leading to CxP’s eventual cancellation and a new direction. That led to the birth of the Space Launch System (SLS), a “Shuttle Derived Heavy Lift Launch Vehicle” – or SD HLV, as requested via the 2010 Authorization Act that gave birth to the vehicle design as NASA moved away from CxP and its Ares rockets. Although that continues to be referenced by detractors, the plus side was the rocket would be making use of proven technology that had a rich heritage from the Shuttle era, not least the final salvo of flights that saw a flawless performance from the final iterations of the RS-25 and Solid Rocket Boosters (SRBs). Budget lines have shown SLS funding remaining strong, even at times to the detriment of the Commercial Crew program and other NASA flagship programs in an attempt to avoid the schedule slips suffered by CxP and keep its political support base in states such as Alabama happy. However, SLS has suffered from schedule slips, moving the original plan of launching Exploration Mission -1 (EM-1) in 2017 as far to the right as 2021. Most of the impacts have revolved around the Boeing-built Core Stage, although numerous other issues have been worked over the years. That latest slip proved to be too much for NASA Administrator Jim Bridenstine who told lawmakers that the Agency would evaluate if an alternative commercial launch vehicle could take over the role of launching an uncrewed Orion around the Moon on EM-1. 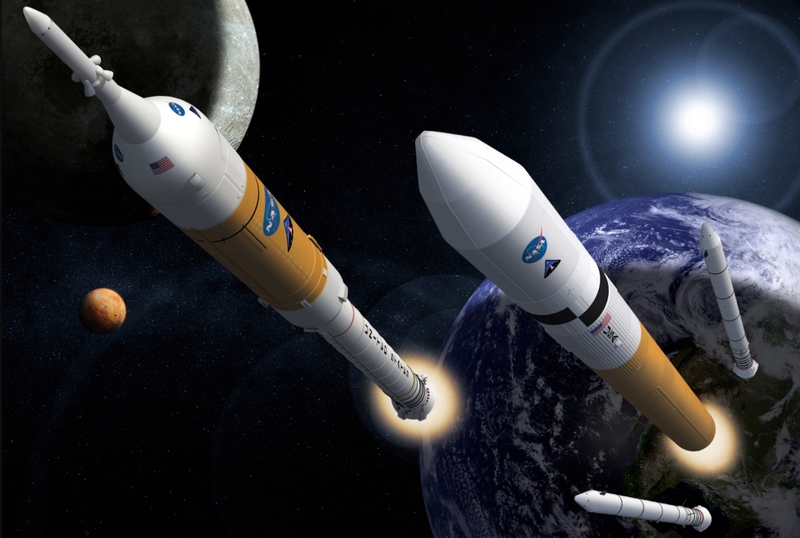 That proved to be a masterstroke from the Administrator, as the reaction from SLS, mostly Boeing, was that of “all hands to the pump” to get the EM-1 launch date back into 2020. 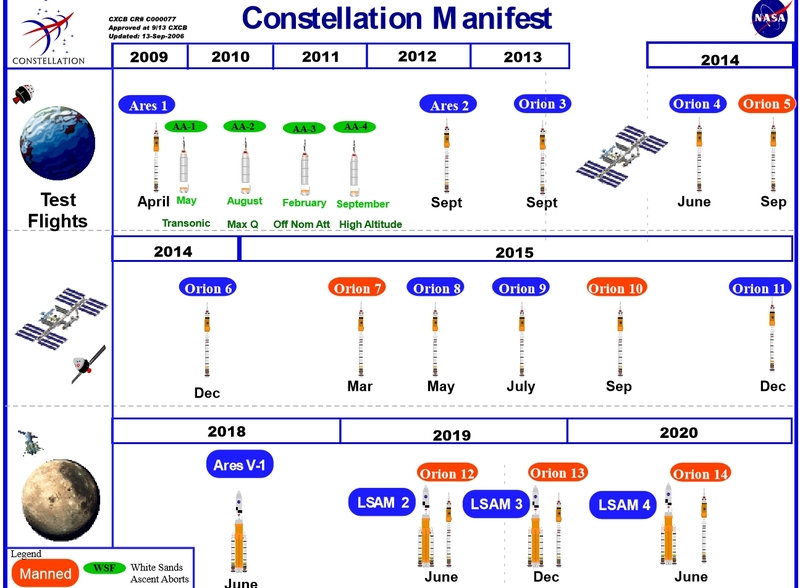 Within days, SLS sources were noting the launch date had been moved back to the left via some elimination of various test objectives that may no longer be deemed fully required for EM-1. The potential deletion of the Green Run at Stennis, where all four RS-25s are fired on the Core Stage for full flight duration could save around six months on the overall schedule and be deemed acceptable given the four RS-25s flying on EM-1 are all flight proven Shuttle veterans. However, the counter-argument relates to the Green Run test one that is for the benefit of the Core Stage systems, not just the engines. Changes to integration flows could also shave off some months, although those some of changes are questionable. But SLS is on notice, as stressed by VP Pence this week in SLS’s own backyard. “Despite the dedication of the men and women who are designing and building and testing the SLS, you know the program has been plagued by inertia, by what some call the “paralysis of analysis”. The nation actually learned with great disappointment within recent weeks, that the date for the first flight of the SLS has been pushed back yet again to 2021,” noted VP Pence, pulling no punches in the opening speech of the National Space Council. In announcing a plan to send US astronauts to the South Pole of the Moon by 2024, VP Pence told the audience that SLS had to be accelerated or else they’d have to look at alternatives. “The first woman and the next man on the moon will both be American astronauts, launched by American rockets from American soil. But to accomplish this we must redouble our efforts, here in Huntsville and throughout this program. We must accelerate the SLS program to meet this objective,” he added. “But know this: The President has directed NASA and Administrator Jim Bridenstine to accomplish this goal by any means necessary. In order to succeed, as the Administrator will discuss today, we must focus on the mission over the means. You must consider every available option and platform to meet our goals, including industry, government, and the entire American space enterprise. “…to be clear – we are not committed to any one contractor. If our current contractors cannot meet this objective, then we will find ones that will. If American industry can provide critical commercial services without government development, then we will buy them. In what seemed to be a case of Good Cop, Bad Cop, Mr. Bridenstine later came to the defense of SLS by noting the preliminary studies into using commercial rockets for EM-1 weren’t viable and that SLS had indeed managed to find ways to move the schedule back to 2020. “We’ve been under review for a lot of different commercial capabilities and what I can tell you is there is an opportunity there in the future. I will also tell you, if we want to achieve 2024, we have to have SLS, we have to accelerate its agenda,” noted Mr Bridenstine. He also stated the case for keeping the Exploration Upper Stage (EUS) which would allow SLS to grow to its far more capable Block 1B version. This would prove to be a quick stay of execution after doubts were made over its future role with SLS. “When we talk about being able to co-manifest payloads – where we talk about putting humans on a spacecraft with habitation modules at the same time and delivering to the Moon – we’re going to need an Exploration Upper Stage and we’re probably going to need that early, by EM-3. 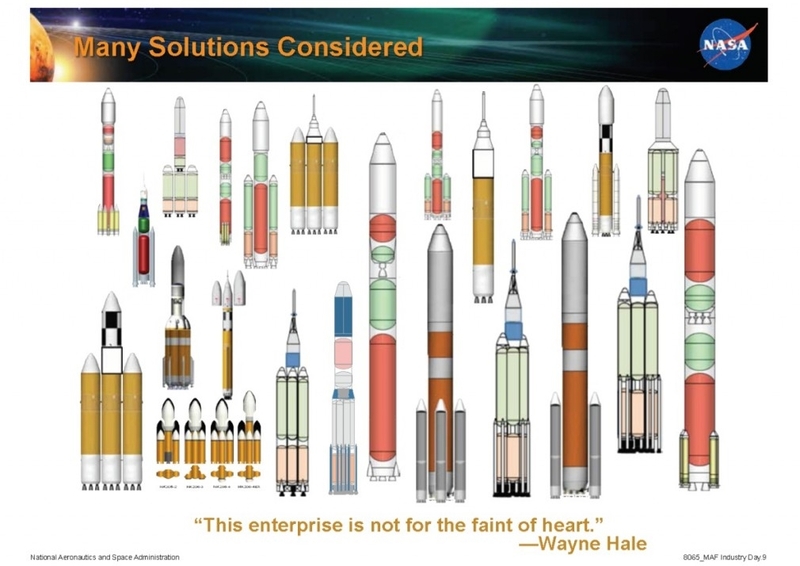 Overall it would appear NASA want to stay the path with SLS, while opening up the future exploration goals to commercial rockets, should they prove to be a better option. The Coalition for Deep Space Exploration, which represents a large number of the main players in the space flight industry sounded optimistic while stating some key caveats. “Though we support the focus of this White House on deep space exploration and the sense of urgency instilled by aggressive timelines and goals, we also are cognizant of the resources that will be required to meet these objectives. “Bold plans must be matched by bold resources made available in a consistent manner in order to assure successful execution. Similarly, the contracting mechanisms by which spacecraft, facilities, systems and supporting equipment are incorporated into a robust Moon-to-Mars architecture must be applied in a rapid and flexible manner with only the absolute minimum of bureaucratic process and oversight necessary to succeed. 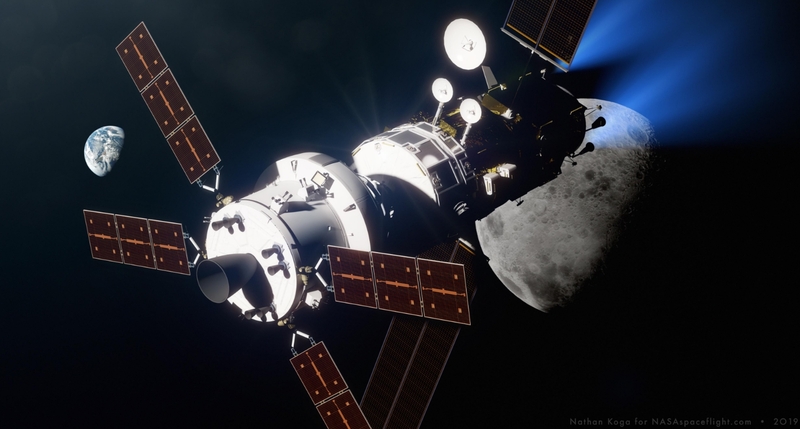 Lockheed Martin also made a key point about the Lunar Gateway, which has become a major goal for NASA’s early deep space plans. How VP Pence’s 2024 goal for landing on the Moon impacts on the Gateway is yet to be fully known. Lockheed Martin seemed to provide one option to keep both projects on track. 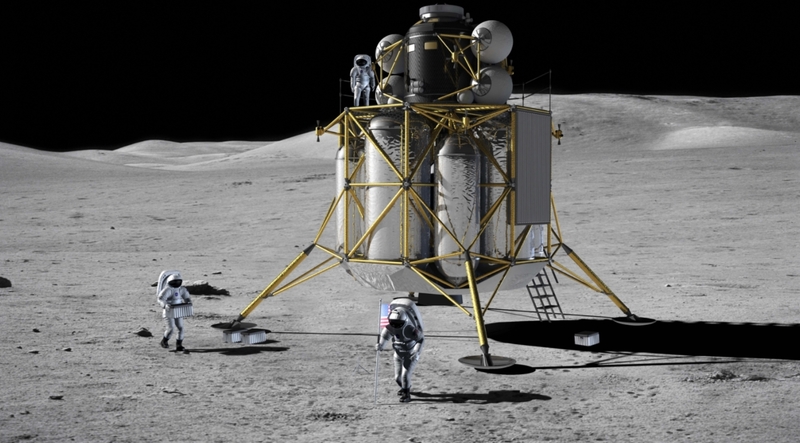 “Lockheed Martin fully supports accelerating NASA’s goal of landing humans on the surface of the Moon. We’ve been conducting in-depth studies on what an accelerated landing schedule would require. With the right level of commitment, urgency and resources, humans could walk on the surface by 2024. Lockheed Martin is the main contract for the Orion crew spacecraft which will have a major role in both goals. One major element that also needs to be considered is the Lunar Lander. NASA was designing the Altair lander during the CxP days. However, this lander has a huge price tag, in the billions of dollars, to the point previous NASA Administrator Charlie Bolden claimed any return to the then-canceled Moon missions would all-but end NASA’s ability to work on Mars missions. This time around, NASA will utilize a commercial company, allowing for a less expensive lander to be installed into the Moon plans. 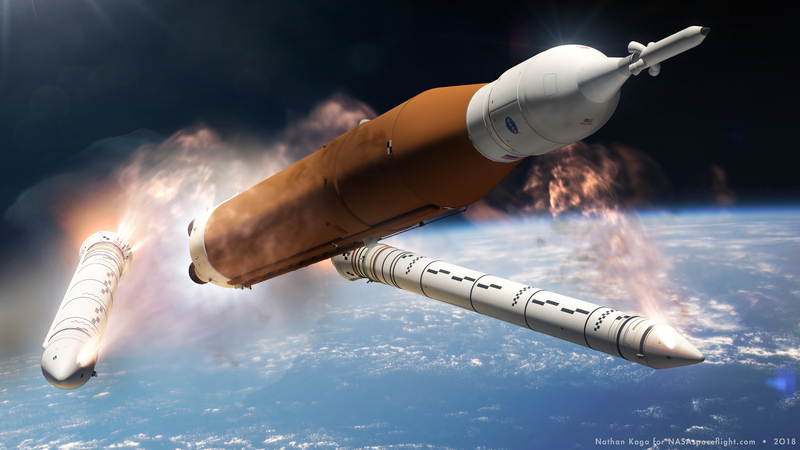 More decision points are expected over the coming weeks and months, as NASA’s budget line is discussed and studies are updated per how SLS can make the 2020 target for EM-1. Today NASA Administrator Jim Bridenstine said the agency is about two weeks from completing a study on accelerating the first SLS launch. Sources say that study is certain to recommend eliminating the Green Run test at Stennis. Sources note 2020 became the planning date (summer 2020) shortly after Mr. Bridenstine made his comments about commercial options for EM-1. 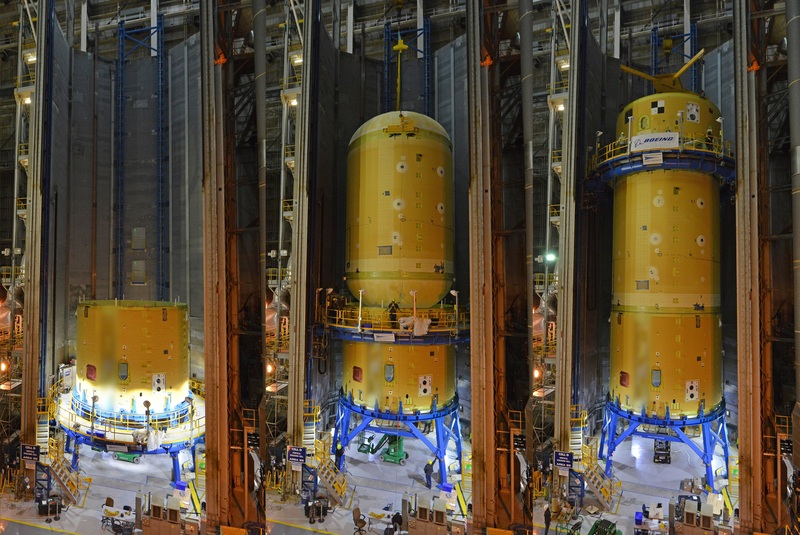 However, there is major skepticism within the SLS workforce as to whether the replanning can buy back enough margin to be confident of making that target. 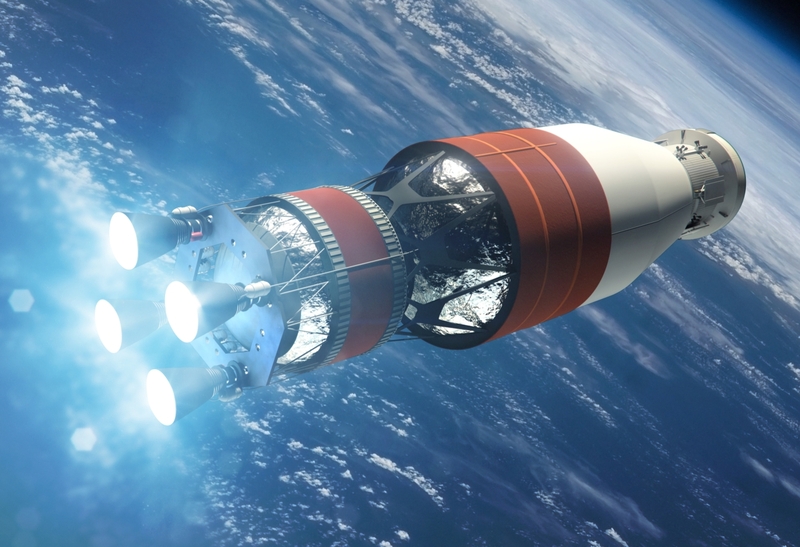 SLS will need to make every effort to prove it can avoid causing a delay to VP Pence’s 2024 target, not least with commercial space companies waiting in the wings for the call from a proactive new Administrator who has shown a willingness to take on the status quo.